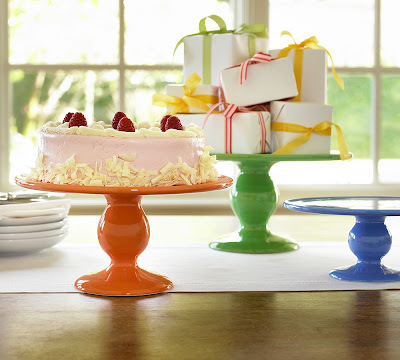 The latest addition to my "must haves" is this orange cake stand. In fact I'd love to have them all. Aren't the colors great? LOVE THESE. LOVE THEM. LOVE.THEM. I want all three. THey seem so fun and festive! Love the bright cheery colors!! Orange is especially great for summer, I think!! Thanks for sharing!